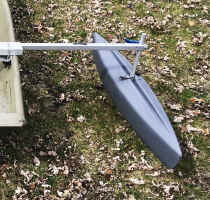 SUP Outrigger Stabilizer Floats Hydrodynamic floats strap to your SUP. 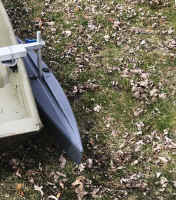 Quickly installed or removed. 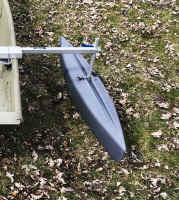 Floats easily adjust inward or outward. 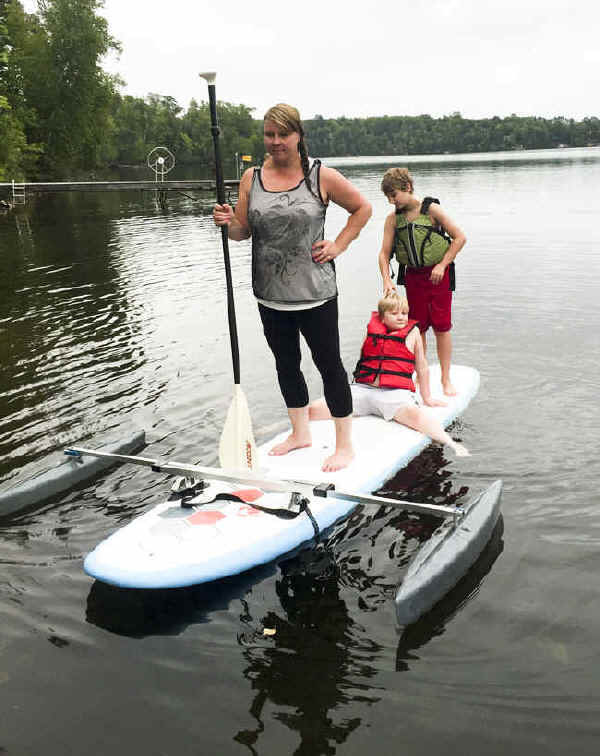 Rubber feet protects paddleboard from marring. Floats are Tough Rigid Polyethylene. 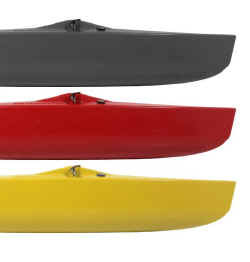 Hydrodynamic Floats are torpedo shaped and lock in place to track alongside the SUP thru the water. 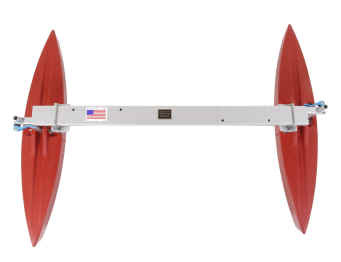 Hydrodynamic Floats telescope from 0" to 18" out on each Side. 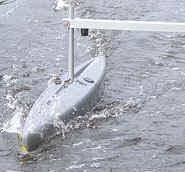 Total distance between Floats is 6 Feet. 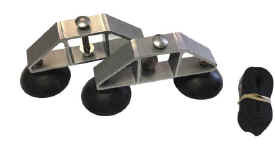 Hardware is Aluminum and Stainless Steel. 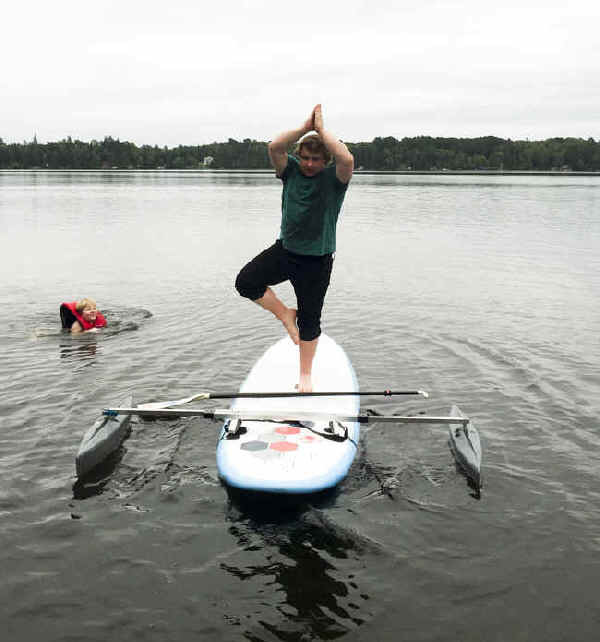 Soft Rubber Feet Protect your Paddle Boards surface. 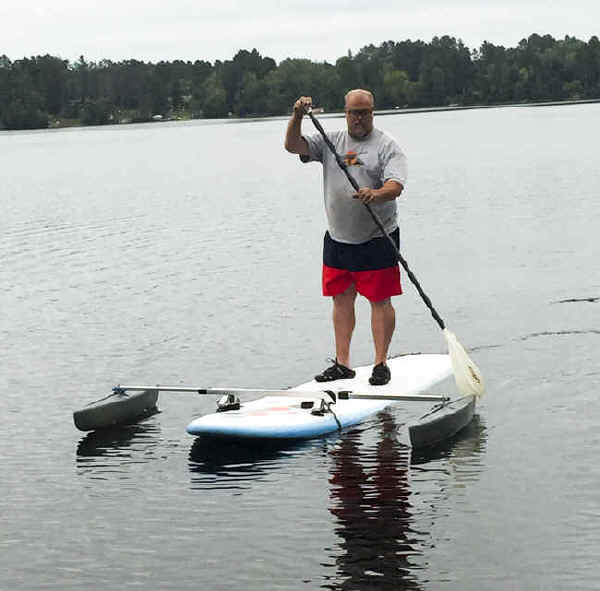 Also - For best fit, Specify make and model of SUP. 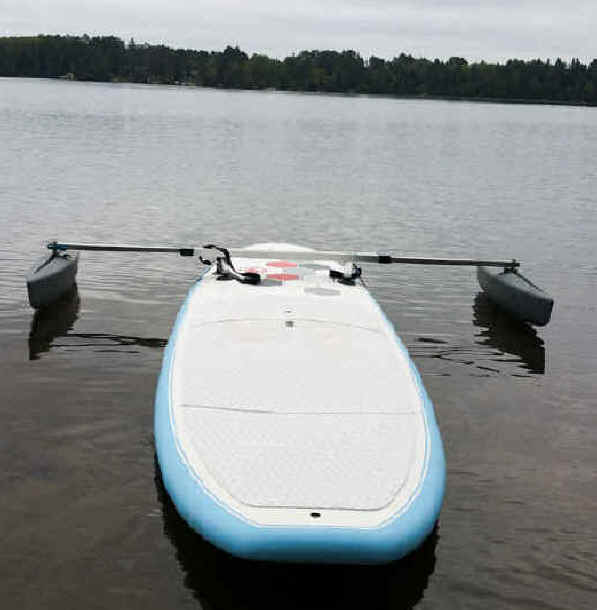 If make and model is not available, specify length, width of PaddleBoard. 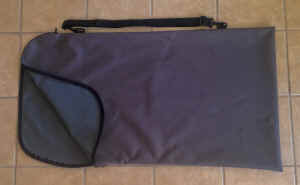 This Heavy Duty Carry Bag has an end zipper closure. Adjustable Strap makes it easy to transport. 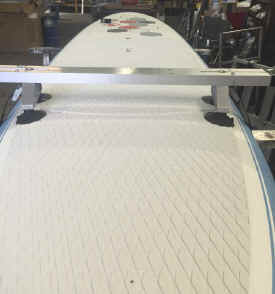 It fits components up to 45" long - All of the Standard Float and Cross Bar Sizes.